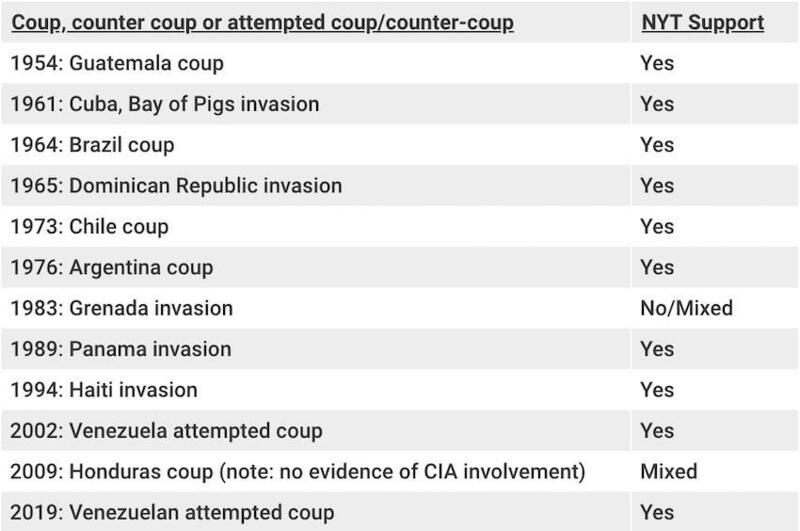 Last week, The New York Times continued its long, predictable tradition of backing U.S. coups in Latin America by publishing an editorial praising Donald Trump’s attempt to overthrow Venezuelan President Nicolas Maduro. This will be the 10th such coup the paper has backed since the creation of the CIA over 70 years ago. The answer is that rank ideology is baked into the premise. The idea that the U.S. is motivated by human rights and democracy is taken for granted by The New York Times editorial board and has been since its inception. 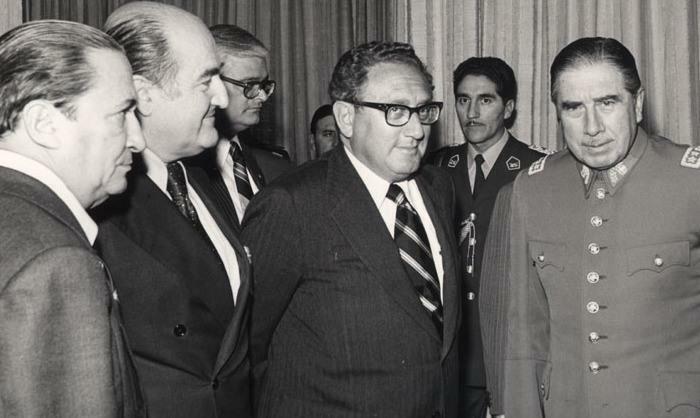 This does all the heavy lifting without most people—even liberals vaguely skeptical of American motives in Latin America—noticing that a sleight of hand has taken place. “In recent decades,” a 2017 Timeseditorial scolding Russia asserted, “American presidents who took military action have been driven by the desire to promote freedom and democracy, sometimes with extraordinary results.” Oh, well, good then. Chavez would soon be restored to power after millions took to the streets to protest his removal from office, but the question remains: If The New York Times was willing to ignore the undisputed will of the Venezuelan people in 2002, what makes anyone think the newspaper is earnestly concerned about it in 2019? Again, the thing that’s being objected to by the White House, the State Department and their U.S. imperial apparatchiks is the redistributive policies and opposition to the United States’ will, not the means by which they do so. Perhaps the Times and other U.S. media - living in the heart of, and presumably having influence over, this empire - could try centering this reality rather than, for the millionth time, adjudicating the moral properties of the countries subject to its violent, illegitimate whims.